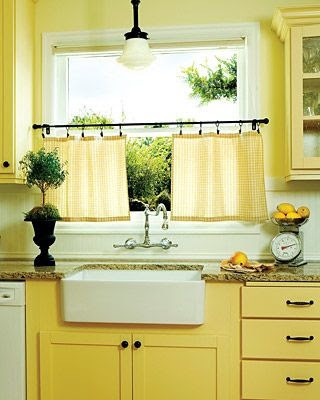 I’m actually not that fond of bright yellow paint, but this kitchen is so cheery. Little things I like: the topiary plant, bowl of lemons, cafe curtains and schoolhouse pendant light. The post Yellow Kitchen appeared first on Darling Darleen | A Lifestyle Design Blog .